I begin to think no one does this but me. 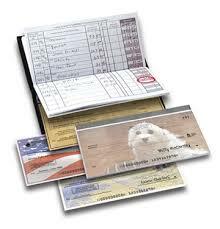 Balancing a checkbook. My daughter and I had a conversation the other day about how to balance a checkbook and she has never had to do this. She has a debit account (also known as a checking account) but now a days they don’t even give them temporary checks to utilize. I am beginning to wonder if anyone else uses checks (albeit just about 5 a month) but I use them. I think her belief is she just keeps checking her account and if there is cash in there she can spend it (which is okay when you don’t have outstanding bills you paid by checks and you are waiting for them to be cashed.) I guess one of these days I will have to teach her how to balance a checkbook but that won’t be today. However this isn’t about checks but more about balancing or fears we have that distort our attempts to balance things. I find myself avoiding the checkbook once the statement comes in. I know it needs to be balanced, I know I need to make sure I know what monies are left in my account but I don’t always want to know down to the exact penny. This is weird coming from a person who always wants to be in control and even stresses as we spend, spend, spend especially during the holidays. But some days I just want the mysterious bank fairy to deposit enough cash in the account so I don’t have to worry. In reality when I do spend the 20 minutes balancing everything out in Quicken, I realize I have more monies than I thought I did and I am at ease (well at least for the evening until we start spending again). I think this is sometimes how I live my days. I know I need to do some things but yet I plug on and on and avoid the obvious things and just do the easier things. I will clean the house to avoid writing a paper (okay it doesn’t happen right now but when I was in college). I find myself opening up my computer to do something but instead of doing it I will waste my evening on Pinterest (not really wasting, there are some great ideas on there which I will probably not do half but I have them pinned just in case). And yet one more example I need to sign up for my licensure test so I printed out the form, left it on the printer for days, finally got all the paperwork finished, couldn’t find an envelop big enough so had to buy one (it took days), got the envelop and addressed it, and it took a few more days to add postage and send. In all I filled out the form towards the end of November and finally sent it a few days before Christmas. Why? Because of fear of the unknown or at least that is what it feels like. If I spent as much time getting stuff done and as I did avoiding certain things who knows where I would be. Well I would probably be where I am but more than likely some things in my life would be different. I’m not making a resolution for the new year to do things differently mainly because I like to set goals and not resolutions and this is really a change I need to make to make things better for myself forever and not just for 2014. So I guess what I am saying is that facing these little fears of everyday life is a goal for me. I already know the relief I feel when I do it so now I just need to implement it. Are there fears that you need to face in 2014? Will you do it? Come balance your checkbook with me so you don’t have to worry ridiculously! My answer for this question is yes and yes. Fear holds us back because we imagine things that might happen. The symptoms are completely real, upset stomach, trembling, anxiety, sweating, you name it these are things that happen to me. I have recently been facing fears head on and I want to say “winning” or maybe better yet, “succeeding and becoming stronger”. Let’s start with a fear faced today. 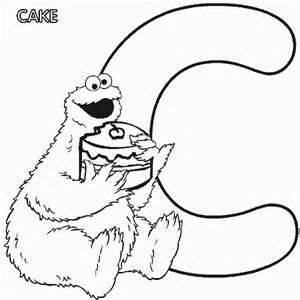 This story is brought to you by the letter “C” for Chicken or Cold (or cake, cookie or cookie monster! ), I’ll let you decide. 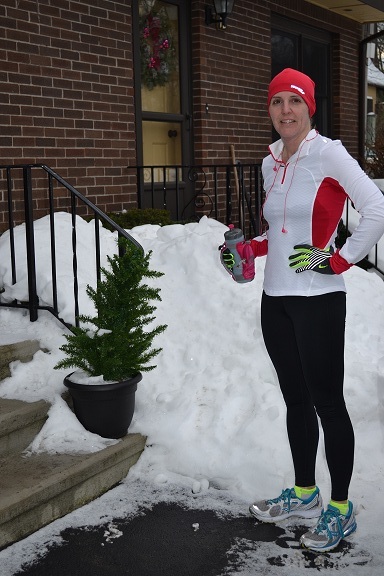 I was all prepared for my long run Sunday, headed to gym because it was cold outside. Not a big fan in running in weather under 40 degree temps with snow on the ground, not really sure why but I think it is has to do with fear of Cold. My brain tells me over and over, “you’re from the Midwest 50 degrees is cold to you”, “Your lungs will burn and ears will get cold”, then of course the normal “You’re crazy go the gym it is safer and you can jump off the treadmill if you can’t make it the long distance.” Well anyway, back to the story, I was in my car headed down the hill from my house and the sun was begging me to come out and play, so I listened. I turned around, went home and got dressed in clothing that I hoped would defeat my inner voice of cold. (See pic) And it worked. I faced this fear of running in the cold head on! And loved it! In fact I was able to keep a great pace (8:27 per mile) for 12.23 miles. My best, longest, training run yet! I wasn’t even cold until the end when I was walking to cool off. Facing a fear posting this post run look! Nice and toasty as long as you have the right equipment. This facing of my fear allows my larger fear of completing my first marathon seem a little less daunting. Have you faced a fear and succeeded? Or are you letting fear hold you back? Now is a perfect time of year to face it and make some big changes (notice how I didn’t say make some resolutions!). Changing your thoughts can change your world. 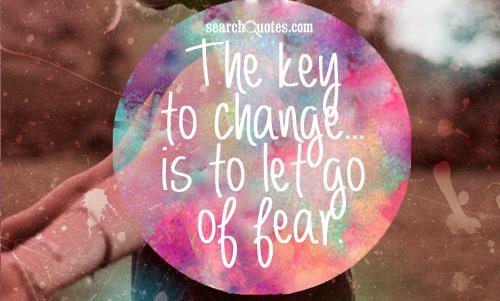 What will you do to face a fear this week/month/year?